We’ve seen Fortnite host live in-game happenings before, but this one was timed to occur with an event in the real world, specifically tonight’s The Game Awards 2018. Epic premiered a new area in the games map called “The Block” which is basically a 25×25 tile empty space. Now that season seven of the battle royale game has added a Creative mode, it hopes to encourage players by taking the best of what they make and feeding it back into the standard map that everyone shares. 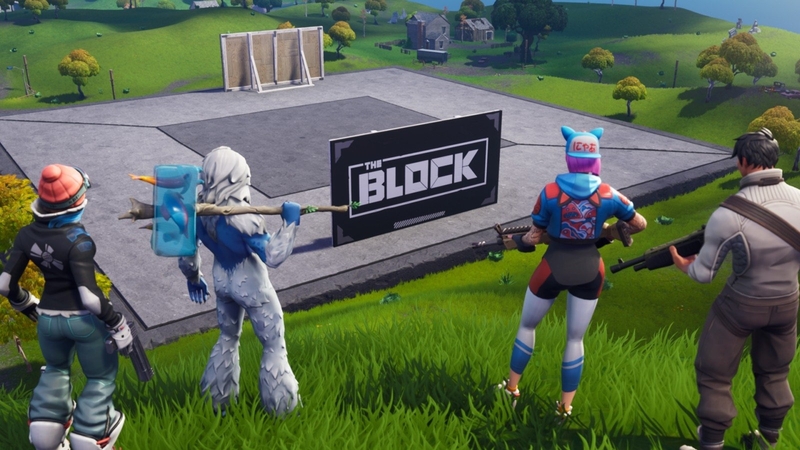 Once players have built… something on a flat area of their island that matches the space, Epic has said to share them on social media using its #FortniteBlockParty hashtag for them to find it. Part of the game’s allure has always been its Minecraft-y building, and the potential of having a creation included for everyone to play should give people even more reason to tinker with their private islands in the new mode. Taking over Risky Reels is ‘The Block’! We’ll feature the best creations built in #FortniteCreative with everyone in Battle Royale.